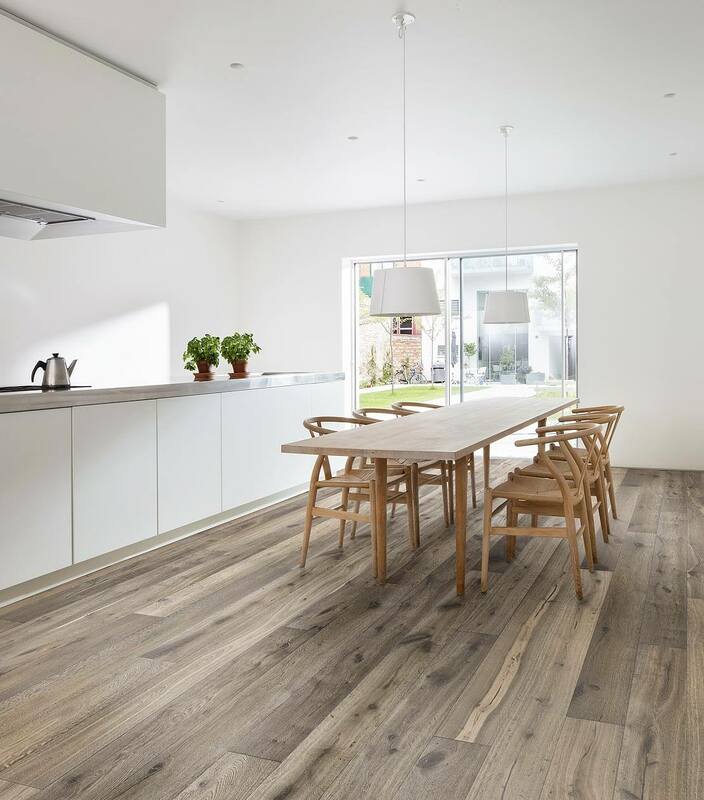 Oak Sture is a true rustic product where the surface is handcrafted and deeply brushed to enhance the beauty and specific characteristics of each and every board. Smoked and stained to give it a muted light warm grey colour with big colour variations. Nature oil finished.